Offering high quality, digitally re-mastered Photo and Document Restorations, Scanning and Superb Digital Printing. Picture Renewal applies 45 years of professional photography experience with the latest in digital ﻿﻿technology to provide one of a kind images that make for wonderful gifts and wall art. Picture Renewal's photo and document restoration services range from simple color and contrast recovery to serious damage repair. As well as photo manipulation, compositing, background replacements, colorizing, reconstructions and alterations of all kinds. Delivered with each project is a DVD with before and after, high and low resolution (for Facebook, etc.) files. Advice is free. Please call 617-666-2080 with any digital photo questions. We know that today in the always changing digital world how confusing it can be. YOU WILL BE AMAZED AT WHAT WE CAN DO!! I am a professional photographer and I spent the last 20 of my 40 year career at Harvard University as a photographer for their Art Museums and Harvard College Library Preservation Department. 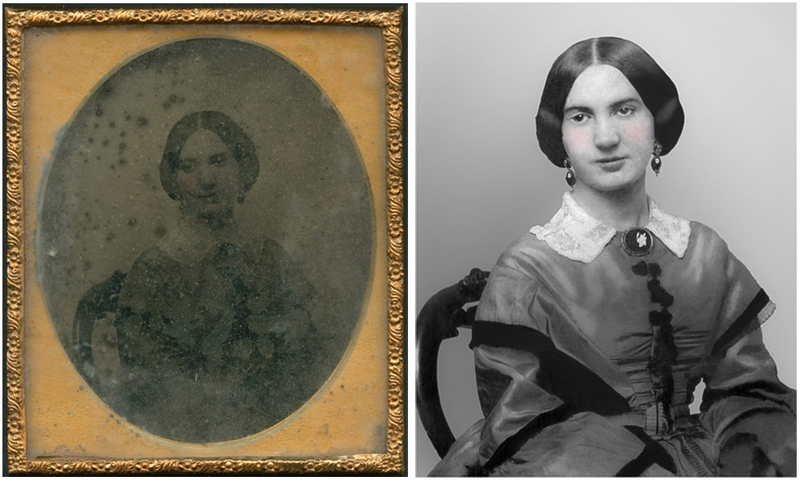 This experience, combined with my love of photographic history and techniques, fits beautifully into my love of Photo Restoration. Before (age 10) and After. "I cannot believe how wonderful this looks! I could tell you love the classics. I am searching for a special spot on my walls for the restored Ambrotype."